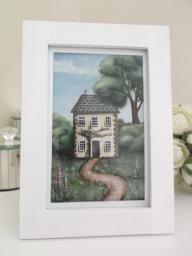 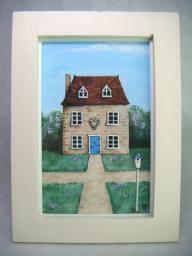 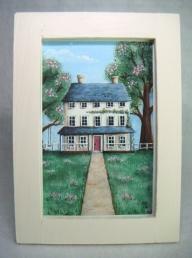 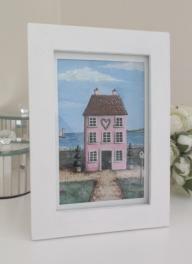 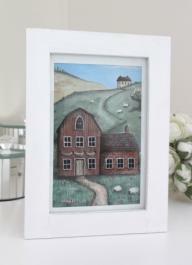 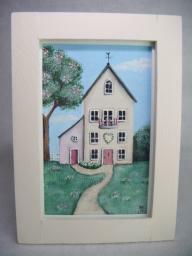 From my 'Houses' collection of signed original Folk Art style paintings, 'Seaview House' is in acrylics on watercolour paper. 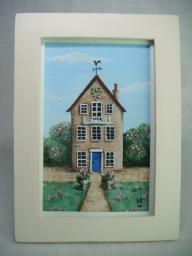 Each painting is single mounted in a cream handpainted frame, with my logo on the reverse, and a steel support stand. 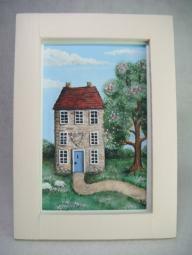 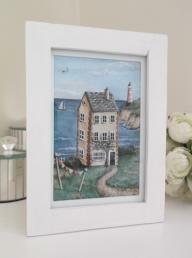 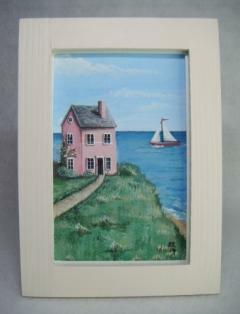 Frame Size: 12.7 x 17.6cm. 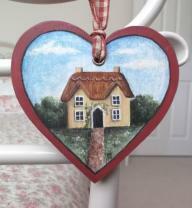 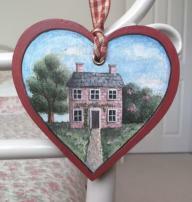 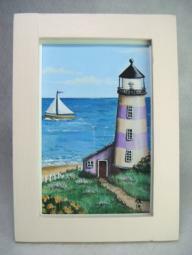 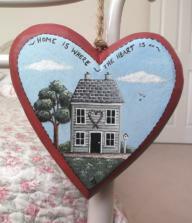 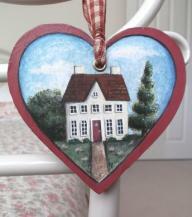 Hand painted home decor pieces, from furniture to original artwork. 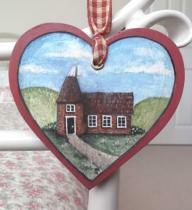 Each piece is finished with hardwearing varnish.